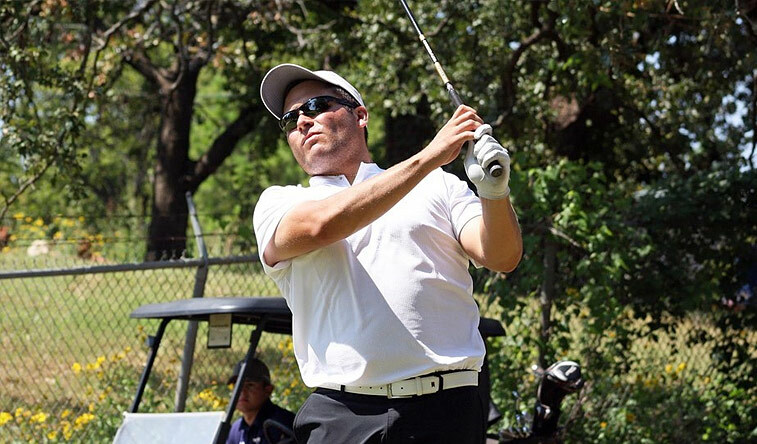 NORMAN, Okla. – Oklahoma City University’s Garrison Mendoza became a three-time NAIA men’s golf all-American as awarded by the Golf Coaches Association of America. Mendoza reeled in second-team GCAA all-American honors, while Peri’Don Castille and Gaston Romero of the national champion Stars collected third-team all-American acclaim. Mendoza, a senior from Clinton, Okla., turned in a 72.66 stroke average, 102 birdies and one eagle in 2017-18. Mendoza took all-NAIA Central Region and all-Sooner Athletic Conference accolades, semifinalist honors for the Jack Nicklaus NAIA player of the year award and all-tournament in the NAIA and SAC Championships as a senior. In his OCU career, Mendoza produced 73.56 shots per round, 341 birdies and six eagles. He finished third on OCU’s all-time list with 125 rounds played. Mendoza became the Stars’ eighth four-time NAIA all-American, a four-time all-region performer and two-time all-conference honoree. Castille, a sophomore from Dallas, provided the Stars with 73.67 strokes per 18 holes this season. Castille accumulated six top-10 finishes, tying for sixth place four times this season. Castille grabbed all-region acclaim. Romero, a freshman from Cordoba, Argentina, posted a 74.52 scoring average with 60 birdies this season. Romero provided OCU with a 72-71-70-70–283 to finish tied for ninth at the NAIA Championships and earn an all-tournament nod. Romero’s top finish of the season came in Arkansas Tech’s Dave Falconer Classic on March 12-13 in Danville, Ark., when he shot 68-77–145 to tie for seventh place among four top-15 showings. He won the NAIA Phil Mickelson outstanding freshman award and an all-region nod. The Stars grabbed their fourth consecutive and 23rd overall SAC championship in the SAC Championships on April 23-24 at Gaillardia Country Club in Oklahoma City. OCU had seven tournament victories while setting a single-season team mark for scoring average (286.22 per round) this season. Oklahoma City ran its total to 53 GCAA all-Americans in program history. OCU captured its 11th men’s golf national championship in the NAIA Championships on May 15-18 at TPC Deere Run. The Stars own national championships won in 2001, 2002, 2003, 2004, 2006, 2007, 2010, 2012, 2013, 2016 and 2018.